Long-Term Bluff Recession Rates in Puget Sound – Experts in Puget Sound coastal processes, management, and cost-effective design since 1993. Coastal bluffs are the most prevalent landform type in the Puget Sound region, accounting for over 1,000 miles (or 42.6% by length) of the region’s shore. Coastal bluff recession provides critical sediment supply to Puget Sound beaches to maintain nearshore habitats. However, very little research has documented the range of recession rates. 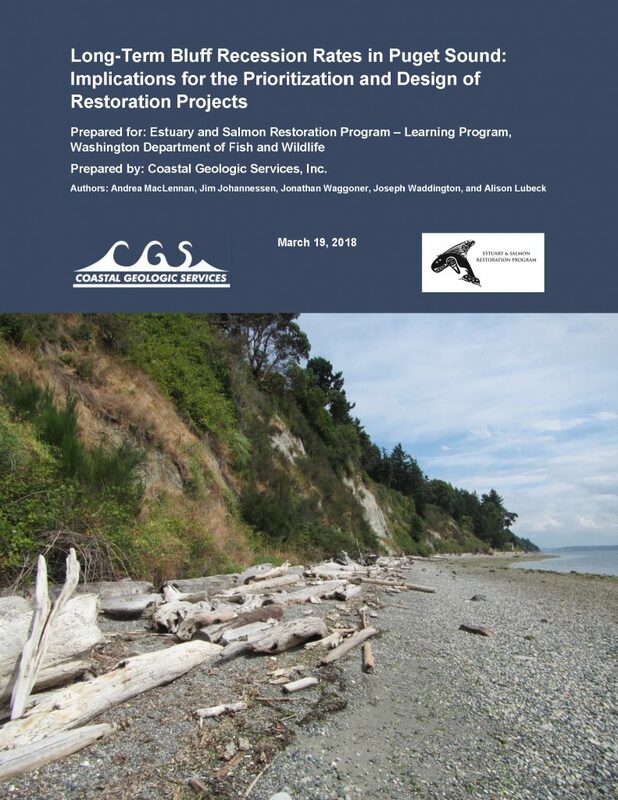 The goal of this study was to investigate the range and dominant drivers of long term coastal bluff recession rates in Puget Sound, and to create a predictive model to estimate a range of recession rates for any given bluff with adequate data.